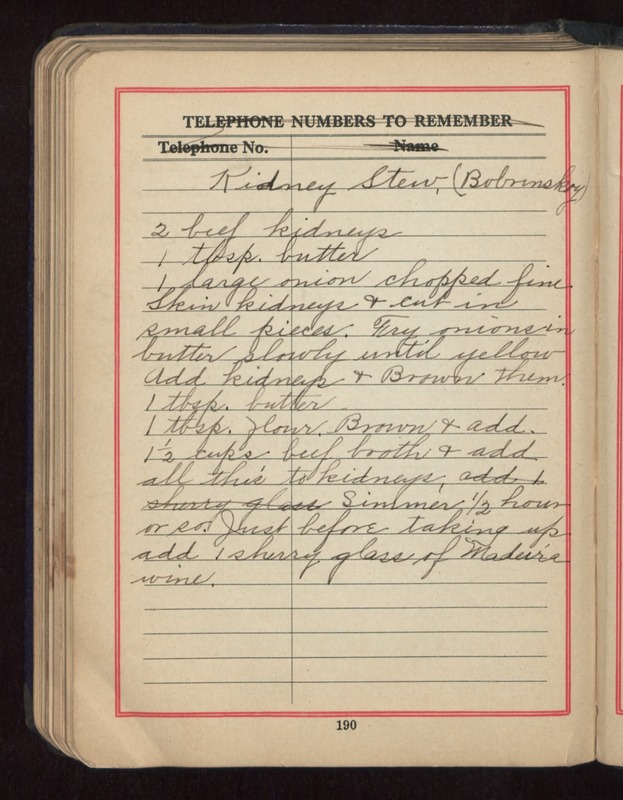 Kidney Stew (Bobornsky) 2 beef kidneys 1 tbsp. butter 1 large onion chopped fine Skin kidneys and cut in small pieces. Fry onions in butter slowly until yellow Add kidneys & Brown them. 1 tbsp. butter 1 tbsp flour Brown and add. 1 /2 cups beef broth & add all this to kidneys. Simmer 1/2 hour or so Just before taking up add 1 sherry glass of Madeira wine.